By the end of the 2017 fiscal year, the University of Georgia had raised a record-breaking $227.8 million as a part of its “Commit to Georgia” fundraising campaign. This nearly doubles the $117.2 million raised in the fiscal year 2013, the year before President Jere Morehead took office. UGA launched the public phase of “Commit to Georgia” in Fall 2016 with a goal of $1.2 billion by the year 2020. The University also set a long-term goal of increasing annual fundraising levels. 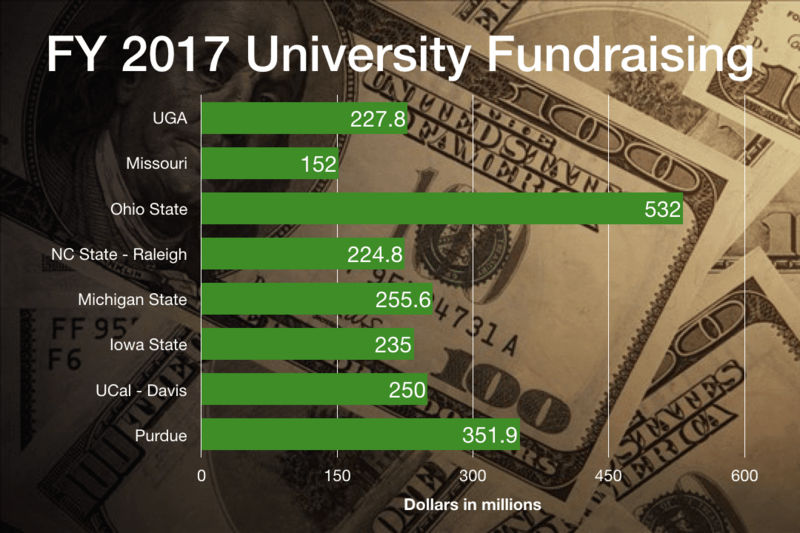 This is the first time in UGA’s history that the fundraising total has reached more than $200 million in one year, and it puts UGA fairly close to comparator peer universities such as North Carolina State – Raleigh and Michigan State. Most of UGA’s 15 comparator peer universities were in the mid-$200 million range, but some were not. At $532 million, Ohio State’s fundraising total for the 2017 fiscal year more than doubles UGA’s total, while the University of Missouri hit a mere $152 million. 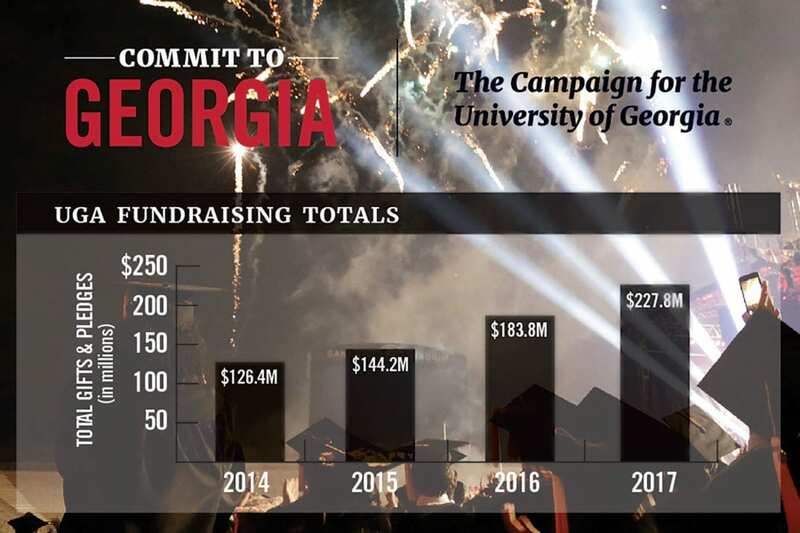 Following this record-breaking fiscal year, UGA officials say that they expect the fundraising total to fluctuate up and down over the next few years.